Have you ever thought of creating your own studio family binder? It’s a fairly simple process once you have the basic principles down. The effort behind it far outweighs the organized results. There are several important reasons families should keep a household binder and having this type of system in place can keep everyone on the same page, especially those who are responsible for major financial decisions. A family binder is also a safety net in the event of an emergency. All important documents are in one handy place. Decide which elements of apartment life your family needs to record and track. A binder can assist families in effectively paying down household debt. All bills and expenses are kept together with details of the progress made toward paying them off. Beyond that, it makes it simpler to implement a savings plan. Most experts agree that a single-family household should have enough to pay all expenses for at least three months should they experience an emergency, disaster, or loss of income. A six-month plan is optimal. All expenses to maintain your apartment should be in your binder. This includes balances, payments, due dates, and projected pay-offs. It should also contain the day-to-day costs of living such as groceries, gas, electric bills, and other fluctuating expenses. Vital identification documents should be stored in your binder as well. Be sure to include social security numbers, birth certificates, and passports. You might consider taking pictures of or scanning these important papers and transferring the images to a flash drive. You should create three separate copies. Keep one in a fireproof lockbox, one at a trusted friends house, and one in a rented safety deposit box at your local bank. You can find tons of information about home management and family binders on the internet. 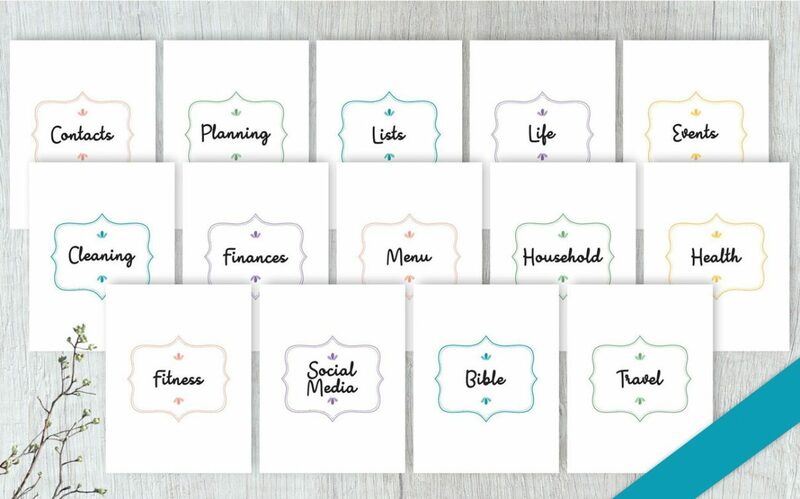 You can also download free printable materials to create and customize yours to suit your family. Check them out and print a few to start organizing and prioritizing.